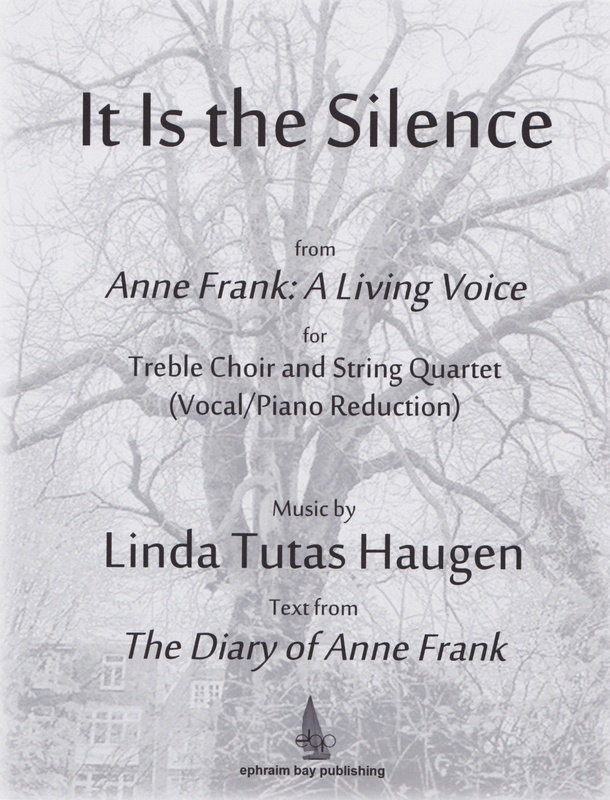 The first movement from Anne Frank: A Living Voice, it is an excellent stand-alone piece from the larger work. Using texts excerpts dated July 1942 and January 1943 from Anne Frank’s Diary, this work reflects the grim reality of war and her situation in hiding. The music begins introspectively and builds to great intensity, ending quietly.